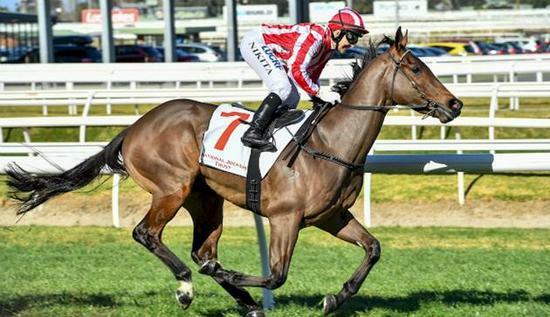 Emerging three-year-old I Did It Again is back in work and trainer Greg Eurell is already eyeing Stakes targets during next year’s Melbourne Festival of Racing. The son of Nicconi created a big impression last campaign with a debut win at Caulfield in June before a luckless placing to Godolphin’s Stakes-winning colt Bandipur. He finished last behind Formality in the Group 3 Blue Sapphire Stakes (1200m) at Caulfield in October but was beaten less than four lengths. Eurell, who has been thrilled with the manner in which I Did It Again has returned to the stable, said there were a host of options for the gelding over six furlongs – among them the Group 3 Manfred Stakes (1200m) and Group 3 Zedative Stakes (1200m) at Caulfield in February – and there is also some thought to stepping the gelding up in trip. “He spelled really well, he had a good break and he’s been back in about a fortnight,” Eurell said. “He’ll probably start off in a couple of those three-year-old 1200m races we’ll see what he’s doing but we could possibly step him up.